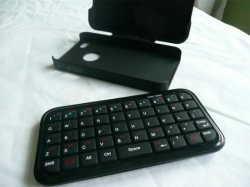 We here at phonesreview.co.uk wish to give something back to one lucky reader to say thank you for visiting us on a daily basis and to do this we have started a giveaway contest where one lucky reader will win a free iPhone 4 Typetop Swivel Mini Bluetooth Keyboard and Case. 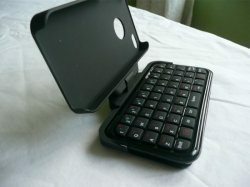 We recently gave this iPhone 4 product a hands-on review that you can read here, see what we think of the iPhone 4 Typetop Swivel Mini Bluetooth Keyboard and Case, you can also see many photos that we have taken as well. To get in with a chance of winning this product all you need to do is a few things, after two weeks we will announce a winner via email asking you to email us your address and we will get it posted to you for free. Just enter and one lucky winner will get an email. It is as simple as that, Tweet us and leave a Comment. As a gesture of your good nature please do join us on either Facebook or Twitter. UPDATE: The winner is Hao-Wei from Kuala Lumpur, Malaysia. Congratulations. We will write another article about the winner in the next few days. This is amazing!! i love to have one of this for my iphone4, tnx for sharing. Thanks for the opportunity. Hope to win. Wow.. this is awesome!! I wanna win this so badly!! Done both (1) and (2). ouh this is very cool and awesome! Thanks for this splendid giveaway. it would prove usefull to me! I like and I need. I quit carrying a cell phone 2 years ago after having one since 1988, I think it’s time again!…………Plus it would work so well with all my Google stuff, all my security, 8 web sites, my home PC is even a Google Calendar. Cool contest, good luck all!